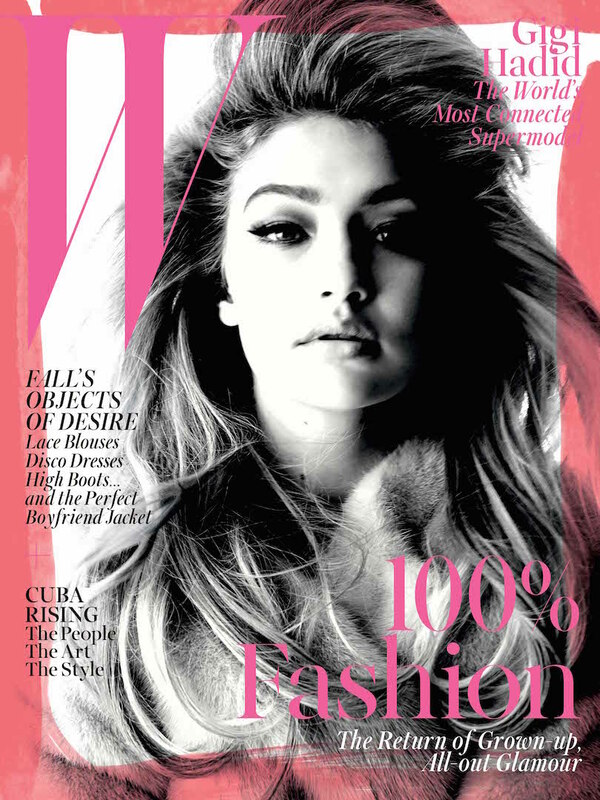 Gigi Hadid graces W’s September cover, channeling grown-up glamour, photographed by Steven Meisel and styled by Edward Enninful. Inside, Lynn Hirschberg explores how Hadid is the world’s most connected supermodel, the girl at the center of everything, and part of a new generation of models for the digital age: the Post “It” Girls. Through her stepfather, who was once married to Caitlyn Jenner’s ex-wife Linda Thompson, Hadid is related to the Jenner-Kardashian clan—making Kendall a sort of sister. Gigi’s stepfather, David Foster, produced hit records for stars like Barbra Streisand and Whitney Houston, so Hadid has always been surrounded by the rich, famous, and powerful. W’s September issue hits newsstands August 18.